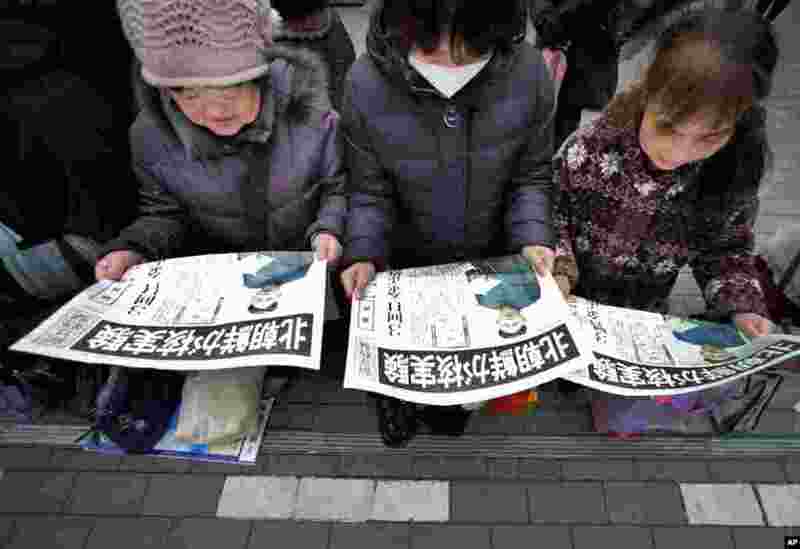 1 An extra edition of a Japanese newspaper was delivered reporting North Korea's nuclear test, in Tokyo, February 12, 2013. 2 South Korean protesters burn a North Korean flag following a report of the nuclear test conducted by North Korea, in Seoul, South Korea, February 12, 2013. 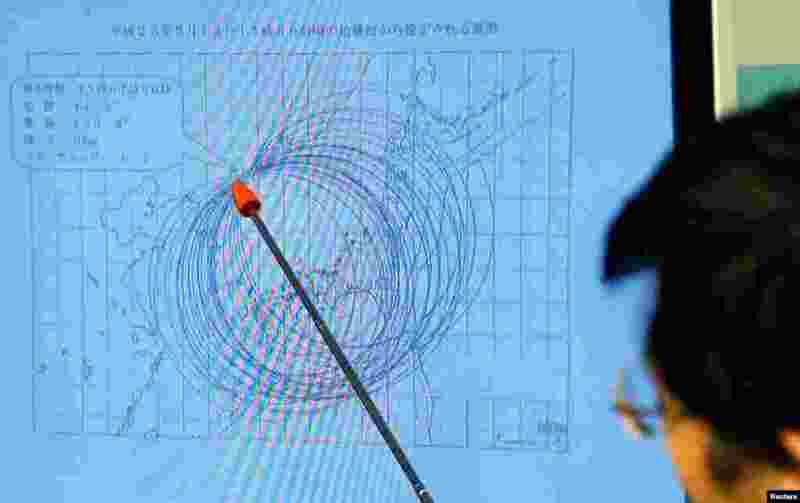 3 Japan Meteorological Agency's earthquake and tsunami observations division director Akira Nagai points to a spot on the map showing the quake center during a news conference in Tokyo, February 12, 2013. 4 South Korean soldiers check military fences as they patrol near the demilitarized zone separating North Korea from South Korea, in Paju, north of Seoul, February 12, 2013. 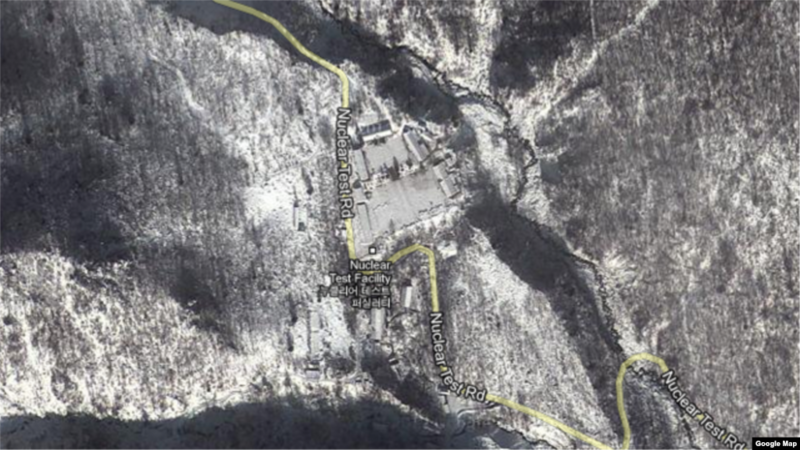 5 A screen grab of the Nuclear Test Facility site in North Korea, via Google Maps satellite view. 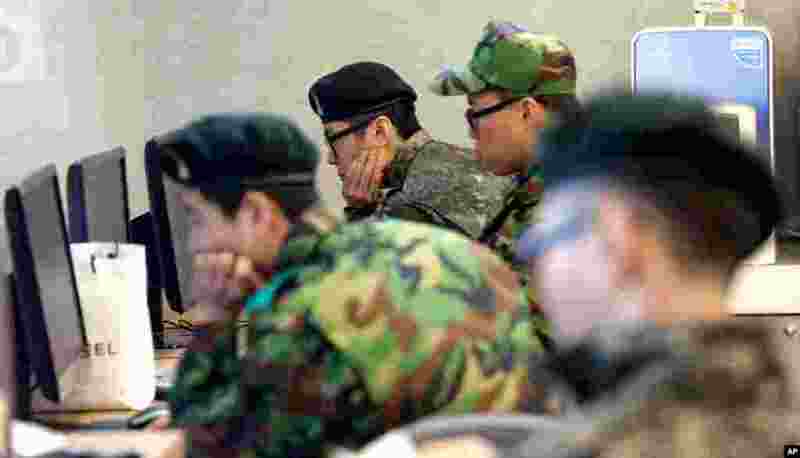 6 South Korean soldiers monitor computers at the Seoul train station following a report about a possible nuclear test conducted by North Korea, February 12, 2013. 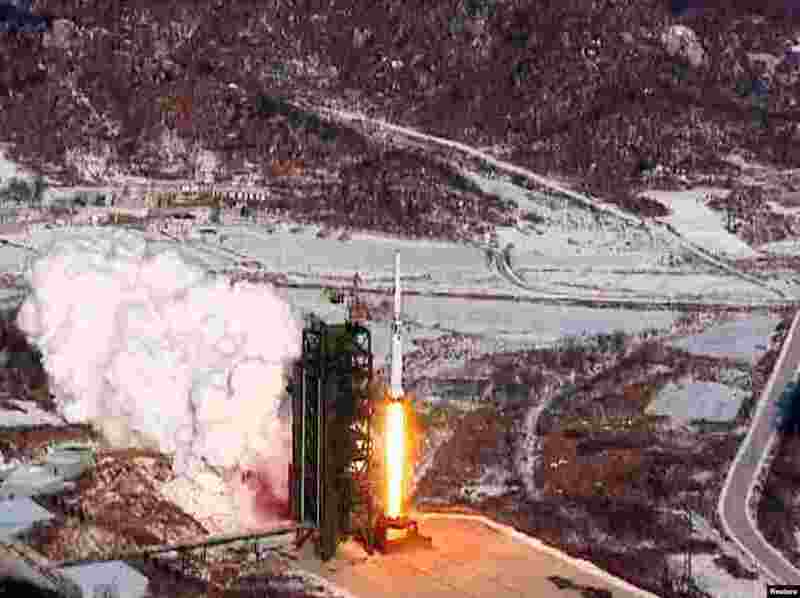 7 A video grab from KCNA shows the Unha-3 (Milky Way 3) rocket launching at North Korea's West Sea Satellite Launch Site, at the satellite control center in Cholsan county, North Pyongang province December 12, 2012. 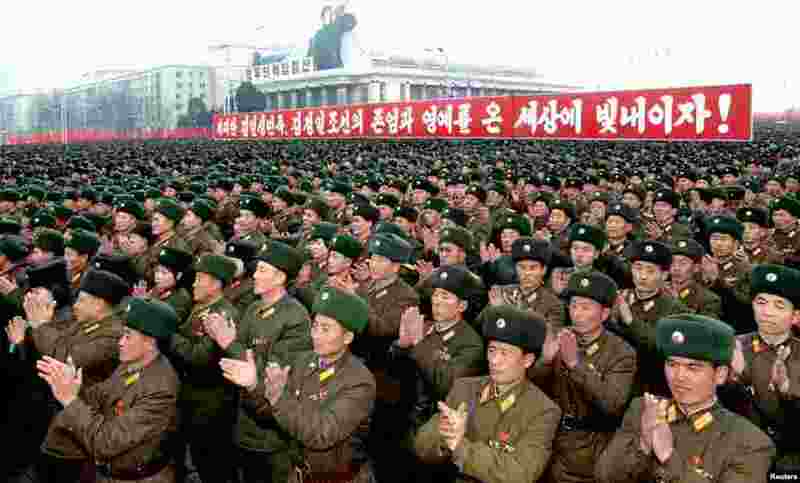 8 North Koreans celebrate the successful launch of the Unha-3 rocket at Kim Il Sung square in Pyongyang December 14, 2012. The sign reads: "Let's glorify dignity and honor of great people of Kim Il Sung and of Korea of Kim Jong Il in the world!"